The Pacific Northwest is one of the most beautiful parts of America. There, I said it. It has the perfect blend of outdoor life, seaside fancies, and city life. The region that boasts the best of the best when it comes to getting in touch with nature has to be the Olympic Peninsula. This is the home of Olympic National Park and a gorgeous coastline featured in film and TV. The perfect way to tackle this part of Washington is a road trip. To do it properly, you'd probably need at least a full week, but for those who don't have much time, a couple days is enough to at least get in the major players and see lots of picturesque things to fulfill your inner wilderness explorer. If you only have a weekend or less to go, this itinerary will help you find what to hit. The two main ferries that can get you across to the peninsula so you don't have to drive all the way around is the Keystone Ferry on Whidbey Island or the Kingston Ferry from Edmonds. A ferry is quintessential PNW and the best way to start off your trip. Make sure if your ferry requires it that you make a reservation online in advance. Also, don't just sit in your car as the boat sails across the water. You have to go up to the main decks and catch a lovely view of the trip and breath in some sea air. 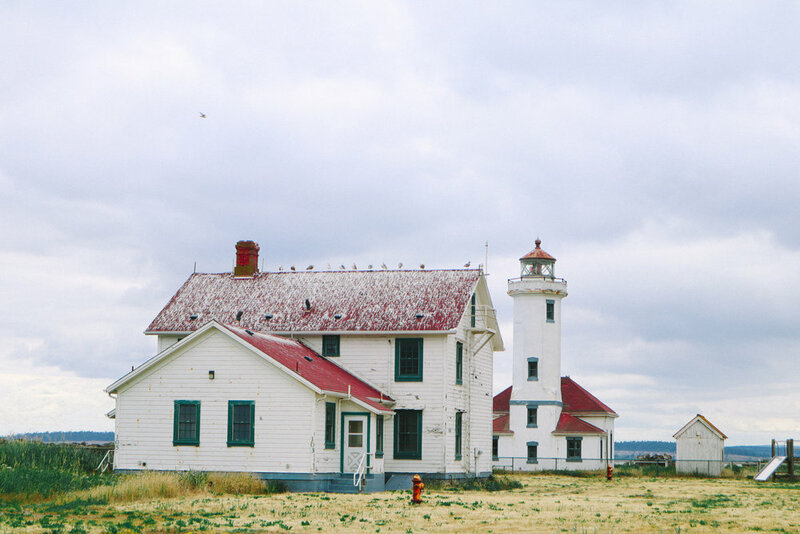 This lighthouse in Port Townsend is a nice little stop off as you're traveling through the region. It's very photographable and won't take long to drive to after you get off the ferry. Sequim is known around the world as being the Provence of North America. The lavender farms in the area are plentiful and there are so many to explore. The best time to go is in July during their Lavender Festival. If you stop at a visitor center, you can easily pick up a map that shows all the farms in the town and you can plot out your visit to this purple paradise. 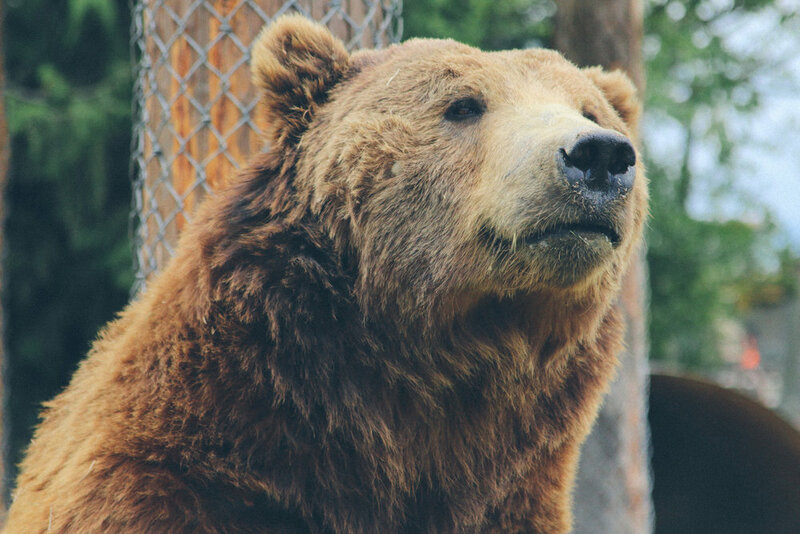 If you like feeding adorable animals you normally wouldn't get a chance to get this up close to, the Olympic Game Park in Sequim is a must. You'll find deer, elk, bears, buffalo, bison, zebras, llamas, peacocks, and more who all are excited to eat bread right out of your hand as you drive through the park. As you head West, stop into Marymere Falls by Lake Crescent and take a nice, fairly easy hike to the falls. The trail is mostly flat, except near the end where it goes up to a viewpoint so you can see the waterfall in its glory. This is one of the few areas in the Olympic National Park that don't require payment to park, so take advantage of this spot. If you've ever heard of Twilight, then you know La Push is the beach on the Quileute reservation. To see the iconic rocks jutting out of the ocean on the coast, you have to hike down to Second Beach. There are three beaches in this area. First Beach is the easiest to get to, with parking right at the sand, but it doesn't have the haystack rocks. Third Beach has an intense hike to get to it, so don't attempt if you're very willing. The Second Beach hike is about 20 minutes long and brings you to the best view. The hike back up is not fun to do at night, so if you want to stay down on the beach overnight, that is possible, but you need to register and pay first to do so. How can you go all the way to this area without getting the true experience of staying in a little cabin in the woods? I used Airbnb to find a nice little remote cabin to lay my head for the night. It was very far down a road (like really far), but it was so worth it because it was cute, had wifi, breakfast and a very kind and helpful host. It was much better than a stay in a hotel. The Hoh Rainforest is the only rainforest outside of the usual rainforest areas in the world, which is incredible. If you visit one part of Olympic National Park, make sure it's this. Just know that it is $30 to get a week-long pass to the park, so take this into consideration when going because you may want to a longer trip to get your money's worth and see more of the park. When you get into the Hoh area, there are a couple of trail options. The Hall of Mosses is the shortest and most popular. Like I said, if you have more time, I'd use your Olympic National Park pass to go hiking in more locations so you get the most of it. This region has amazing trails for all levels of hiker and is a perfect way to get in touch with nature and be outdoors before heading back to real life again.